Become Environmentally Friendly When You Paint! 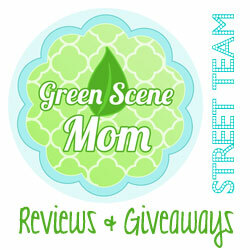 You are here: Home / Featured Products of the Week / Become Environmentally Friendly When You Paint! The Buddha Board is a must-buy! With Earth Day right around the corner – it’s time to demonstrate your support for protecting our environment. One easy way to stay environmentally friendly is paying attention to your daily activities so that you are re-using and recycling whatever you can, such as opting to reusable water bottles. But here is something you may not have known – you can conserve even when you paint or draw. I love this product and the fact that you don’t need to use paper when you paint really impressed me when I tried out the Buddha Board! I may not be an artist but I enjoyed painting with this and it was relaxing to watch my paintings magically disappear. If youb paint lightly the painting will disappear more quickly! 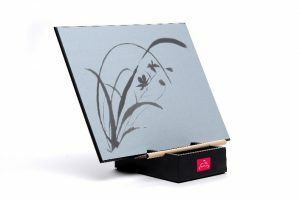 The Buddha Board is a mess-free temporary painting board that is environmentally friendly, and requires no ink, no paint, and no chemicals. Simply add water to your brush and paint on the surface – and your creation will come to life in bold design. As the water slowly evaporates, your art magically disappears leaving you with a brand new canvas each time and endless creative options. Doodling with Buddha Board will help reduce your stress. 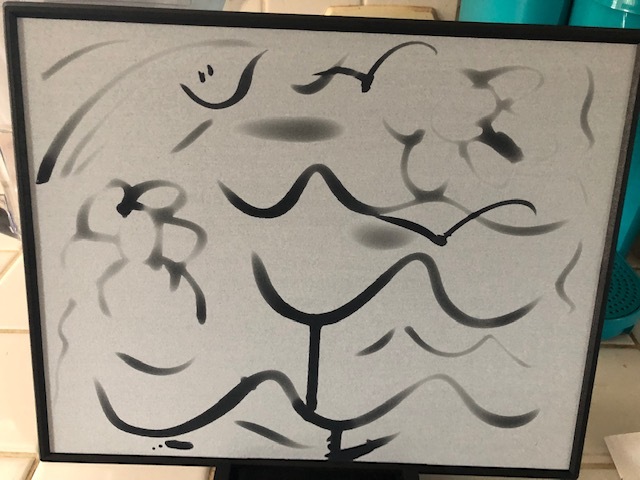 Journal of the American Art Therapy Association reports that people who doodle or perform any free-form art end up with much reduced Cortisol – or stress hormones. Now, how cool is that?! It’s also great for children! 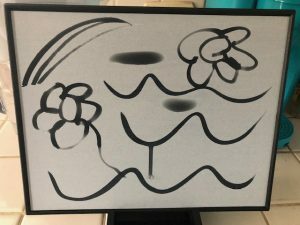 One thing I really like about the Buddha Board is that it is great for all ages! Buddha Board comes in three different forms: The original Buddha Board, 5” Mini Buddha Board, and the Enso – the enhanced version of the Mini Board. All versions are extremely portable and come with a water tray and brush. Pictured above is the original Buddha Board. 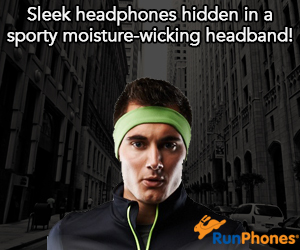 It retails for $14.95-34.95 and is available with various sellers including Amazon. Self Disclosure: I received free samples to facilitate this post. Top image was also provided. No other compensation was received to post.